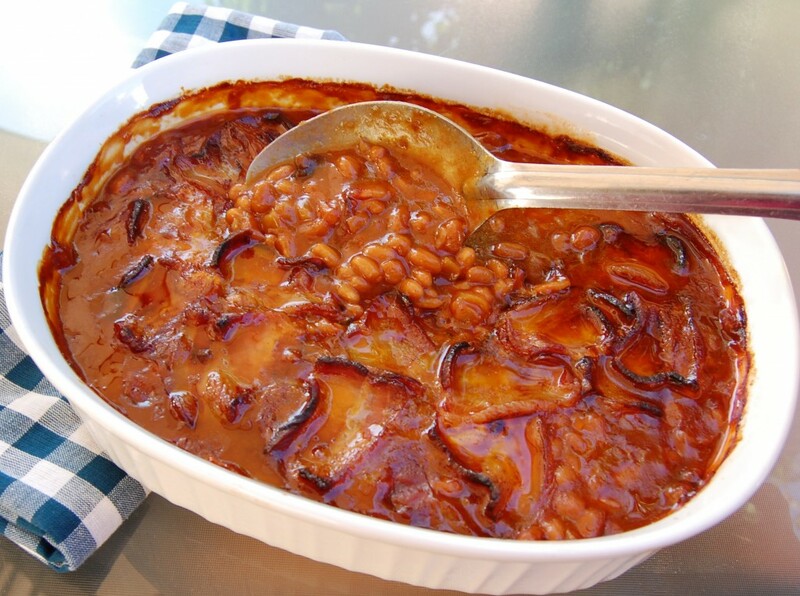 The perfect side dish for your next backyard BBQ! Preheat oven to 325 degrees. Spray a 2 1/2 to 3-quart baking dish with non-stick cooking spray. In a large skillet, melt 2 tablespoons butter. Add onions; sauté until tender and translucent. Add beans, ketchup, molasses, mustard, and brown sugar; stir to combine. 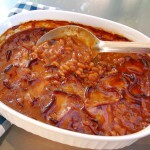 Pour bean mixture into a prepared baking dish. 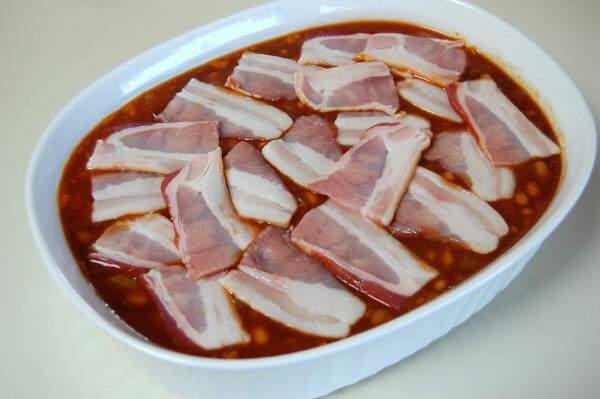 Cover the beans with bacon pieces. Bake uncovered for 2 to 2 1/2-hours.